I believe that handmade items are the best gifts. 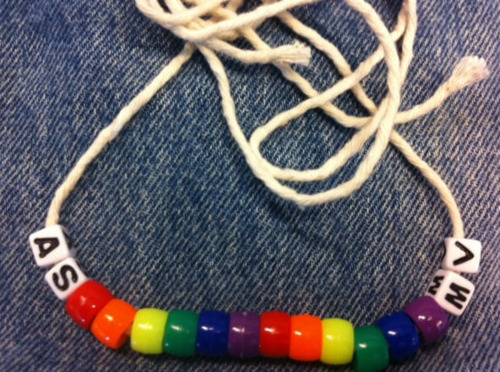 I was having a bad day when I found this in my desk: a beaded string necklace made by my niece Mary. I recognized her initials when she gave it to me, but I asked about the others: “That stands for Aunt Stef,” she told me. That’s a good memory to cancel the badness of the day.